Yes, Virginia, there are blessings to being a writer. And it goes beyond multi-book deals, beyond making the bestseller list, beyond movie deals. Few writers attain these lofty heights. But all writers can experience the blessings of being a writer. And not just learning a new skill such as the craft of writing. Though this is crucial. It’s also learning about who we are as individuals. It’s learning patience and determination and perseverance. It’s learning to constructively receive feedback, especially when it’s not what we want to hear. Writing has revealed parts of me I hadn’t seen before. Some of them make me feel pretty good about myself. Others not so much. But incorporating these lessons has made me not only a better writer, but also a better person. The act of writing is usually done alone, but it does not occur in a vacuum. As we strive and struggle in the craft, we meet and form relationships with a myriad of people who share this journey with us. Non-writers can’t relate to this as well as writers can. It’s like we have a non-verbal language for communicating with each other. These relationships can become deep and meaningful friendships with people who “get us.” People who share our frustrations, our rejections, and our successes. I value my close writer friends who refuse to let me wallow in my self-pity at my self-perceived lack of success. They pray with me, challenge me, and won’t let me quit. Whether we write fiction or nonfiction, blogs, articles, newsletters, we touch readers. And we may never know who we touch or in what way. Some readers have thanked me because my novels brought them closer to God. Others thank me for creating characters who give them hope that they too can change their circumstances. Many writers will say they are called to write. And not just writers in the Christian market. Writing fulfills a deep purpose in our lives, deeper than just working to put food on the table. For many, writing is more than a job. I know God has called me to write for this season of my life. So I write. I pray over ideas and manuscripts. I pray over characters and plots. I get to paint pictures with words, not a brush. 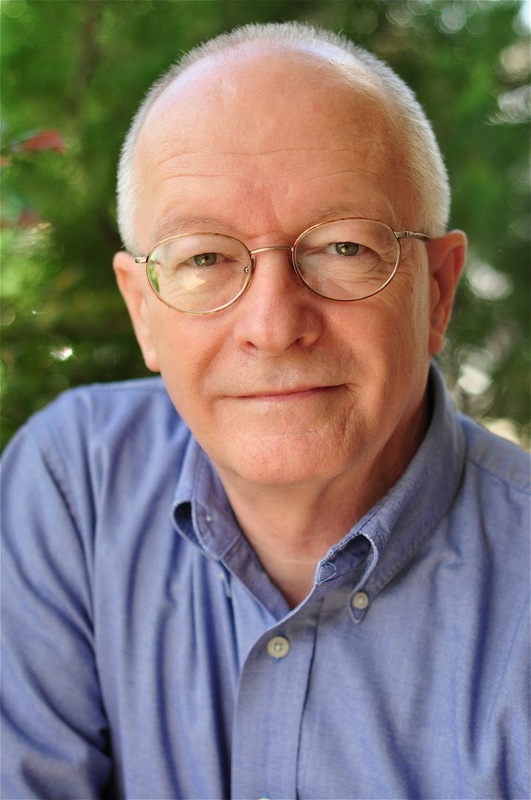 I get to use words to reveal Jesus to my readers through the characters who tell my stories. I need to respect his calling and honor it through what I write and how I write it. What blessings has being a writer brought you? 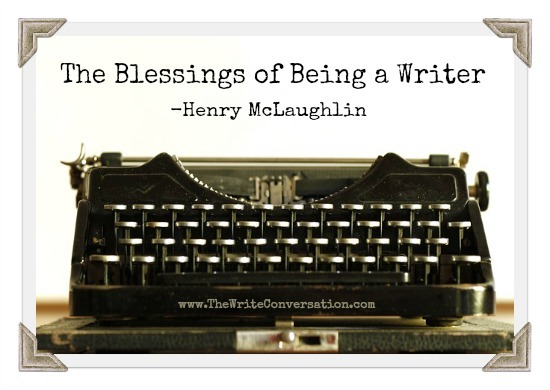 Thank you Henry for reminding us of the blessings of being a writer. I think we get caught up in the journey and wanting to get published that we forget that. Great post! Thank you, Darlene. Sometimes I think we need to stop are busyness and spend time with God focusing on all He has blessed us with. It's a practice I intend to start in 2019, taking at least one day per week to think of all He blessed me with that week. Maybe I need to make it a daily practice. Thanks for this Henry. Your blogposts ALWAYS have takeaways for me, and this one did, too. I like most everyone I've ever met, but there were a few at work, in the neighborhood, at church, and now even on social media & TV that I avoid. But there is something about a fellow writer - high profile, beginner, or in between - that brings a little something extra to the party. Most, like I am doing, write for the joy it brings and sense purpose in it. We'd be starving if we were writing for a living. Yet there is a little slack cut, a larger slice of understanding, a tolerance factor JUST BECAUSE the other person writes and is sincere about it. I dwelled on your use of the word "called." I think about a few friends who were called to go into ministry, knowing they were likely destined for relocations, fixed incomes, long hours, even rejections and they knew that going in. They were answering a call, a pull that won't quit drawing them in. Thanks for helping me see that - like ministers - good writing friends are answering a call, too, and are blessings in my life. Thanks, Jay. it was during one of my most discouraging phases that God reminded me He called me to write. He hadn't changed His mind, so why should I change mine. That reminder carries me to this day. Indeed we are blessed to be able to share our hearts with others. Thank you for sharing yours this morning Mr. Henry. Thanks for your comment, Jim. It blesses me. So many blessings to count. Thanks Henry for bringing this perspective to us. Thank you, Ingmar. I'm glad my words blessed you.